This pen nails it! 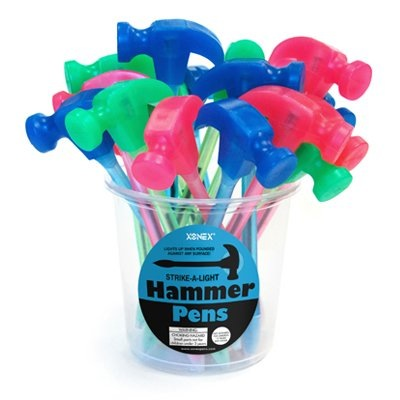 Hammer shape in Blue, Green, and Pink. Pen lights up when "pounded" against any surface! Blue ballpoint. Non-refillable. Measures 7" Price per item. Colors will be chosen at random.